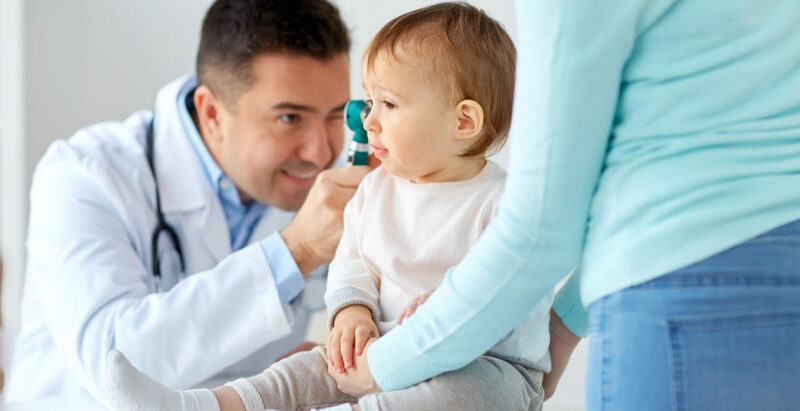 More than 80% of children will experience at least one ear infection before they turn three-years-old. Ear infection is one of the top reasons that parents seek medical treatment for their children, causing fever, irritability, and ear pain. Also known as otitis media, an ear infection is caused by fluid buildup behind the eardrum that results in inflammation. It is typically caused by bacteria. According to the Centers for Disease Control (CDC), antibiotics are not a recommended treatment for most ear infections. There are three types of childhood ear infections. Each type has its own distinct set of symptoms that can aid in diagnosis and treatment. Otitis Media with Effusion (OME) – This results from a fluid buildup that occurs in the middle ear although there are no symptoms or signs of infection. While it can happen when the fluid remains after an ear infection has run its course, other causes may include allergies, previous respiratory infections (like cold or flu), elevation changes, environmental irritants, air travel, and drinking while lying down (usually on the back). Antibiotics are not effective for this type ear infection. 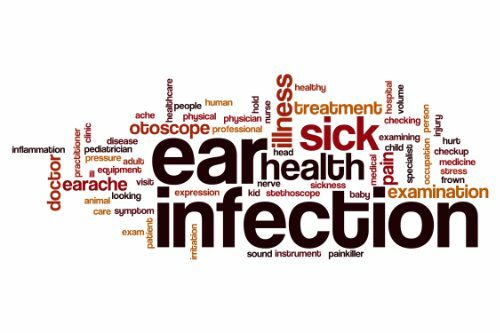 Acute Otitis Media (AOM) – This type of ear infection is the most common, affecting the middle ear, and is marked by infection, swelling, and trapped fluid behind the eardrum. Symptoms may include earache and fever. It may be seasonal (most earaches occur in the winter and fall months), environmental pollutants (second hand smoke), age (children under 2 years of age are more prone to earaches), and attendance at daycare. AOM may also be caused when the fluid from OME becomes infected. Antibiotics are sometimes prescribed for more acute cases. Chronic Otitis Media with Effusion (COME) – This can be a serious condition if left untreated. It occurs when fluid in the middle ear continuously returns or remains trapped for a long time. Often infection is not present and there are no symptoms. Children with COME have a more difficult time fighting new infections and they may suffer from hearing damage or loss. Most of the time children get ear infections before they are old enough to verbalize their discomfort so parents must rely on telltale certain signs and symptoms. Several studies have shown Chiropractic for ear infections to be an effective, natural, antibiotic-free treatment. While full spine adjustments are commonly used, other techniques include occipital subluxation, atlas subluxation, and axis subluxations. Chiropractic care not only treats ear infections, it also improves their overall health and ability to function. It has a strong focus on whole body wellness so the chiropractor may recommend diet and lifestyle adjustments in addition to treatment. 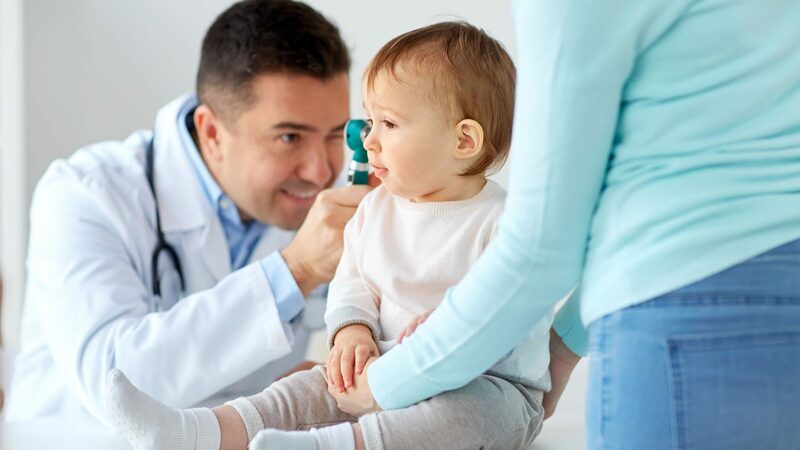 Parents need to realize that they have a choice when it comes to the type of care their children receive for ear infections and other types of illnesses. Heavy Backpacks: How To Avoid The Negative Effects | El Paso, tx.